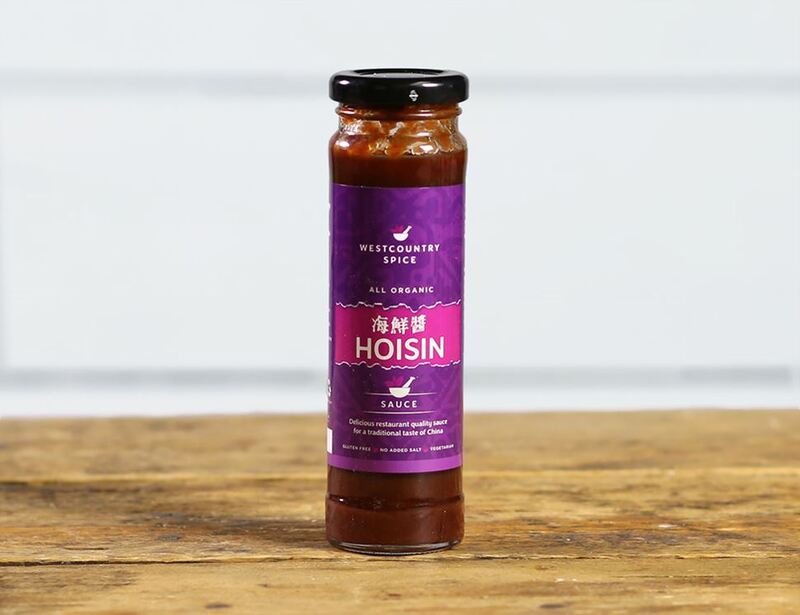 This Hoisin Sauce tastes pretty deliciously, authentically Chinese to us. And to the judges of the Soil Association Awards. It won a Gold Great Taste Award, picked out from over 900 entries. Great as a dip, it also makes for a stunning veg stir-fry. Ex Horologist Chris Carnegie and his business partner and friend Tom Higgins have cooked up this delicious relish for us. Their kitchens are based in the tiny village of Wembury, near Plymouth in Devon. They take real pride in making their products, using only the finest ingredients which are sourced locally wherever possible. Cane sugar*, Water, Brown rice miso* (contains Soy Bean*, Brown Rice*, Sea Salt, Water), White wine vinegar*, Tomato concentrate*, Onion*, Tamarind*, Molasses*, Tamari* (Water, Soy bean, Sea salt), Plums* (3%), Lemon juice*, Star anise*, Sesame seed oil*, Herbs, Spices. May contain traces of nuts and mustard. Store in a cool dry place, and once opened use within 3 weeks.